Matilde Sánchez Fernández received the M.Sc. degree in Telecommunications Engineering and the Ph.D. degree from Universidad Politécnica de Madrid, Madrid, Spain, in 1996 and 2001, respectively. 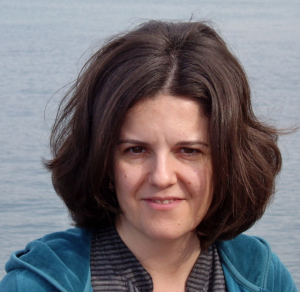 In 2000, she joined the Universidad Carlos III de Madrid, where she has been an Associate Professor since 2009. Previously, she was a Telecommunicatio n Engineer with Telefónica. She has performed several research stays at the Information and Telecommunication Technology Center, The University of Kansas, Lawrence (1998), Bell Laboratories, Crawford Hill, NJ (2003–2006, 2015), Centre Tecnològic de Telecomunicacions de Catalunya, Barcelona, Spain (2007), and Princeton University, Princeton, NJ (2011). In the Signal Theory & Communications Department she has been Academic Secretary and Academic Vice-Head of the Department. In Universidad Carlos III de Madrid, she has been Deputy Vice-President of International Relations and now she is Vice-President for International Relations and Cooperation.